Being a taxi driver for a few years, I saw and heard lots of stuff, I met a lot of people. Some of them stayed in my life some left. This is the case of Ernest who I met in one November cold night. I got a call from the hospital to pick up a guy. He was quiet the first 15 minutes of the drive than when I asked him if everything is ok he just exploded. He started to tell me how he lost his wife, his baby boy and his job all in the same day. It was heart breaking. He was a banker and went to work like every morning does, but he had a bad feeling in his gut when he kissed his 7 months old pregnant wife on his way out. At noon he had a meeting with a big corporate client, when his phone ring. It was his wife, but he didn’t answer, thinking he will call her back at the end of the meeting. After 30 minutes he asked for a break and rushed out on the door to call his wife. She didn’t answer so he left everything behind and jumped in his car to get back home. While he was rushing home his boss called him and told him to get back in the meeting but because he refused he was fired. When he got home the house was empty, the door unlocked and his wife’s cell phone was on the kitchen table. We all have that neighbor that knows everything what’s going on, on his street, so did Ernest. Abdul, a tow truck driver, told him that the ambulance and a police car came and took his wife to the emergency room. He rushed to the emergency room, but by the time he got there his wife and the unborn baby were gone. This guy was too silent after he finished his story and my gut was telling me it’s not the right time for him to be alone. I asked if he has any family in town he can stay with for a few days but he did not. There was no way I could just drop him off and go back to work, so I didn’t. I drove around for hours just talking, he looked so calm. I was not used to this, Most of my passengers are loud and frustrated about something all the time. This guy just lost everything and he was calm. It was not a good sign. When he asked me to take him home I made him promise he will call me next day to buy him a coffee…for my surprise he did. He never stopped calling me for the next 2 months and we had a 30 minutes talk every day. Today, after 3 years he is one of my best friends. He never got over his loss. It took him some time to find a new job and move on but I know I was there for him and I’m glad I followed my gut. Life as a taxi driver in sot boring for sure. It’s not for everyone. You need to have pants for this! This days with services like Uber and Lyft available the taxi cabs are not used like they used to. As I was trying to find my way in life with the help of my friend I started driving taxi at night while trying to put some money aside to buy my first house. You won’t believe the stories you hear from the people you drive around. Some people are lone wolves and the whole ride, they would not talk to you, but some can’t keep their mouth shout even if they see you are not engaging back. The worst are the cops. They go through so much in a week that they can’t wait to get in a car with a stranger and tell them things that they would not tell to their wife or kids. You are like a trash can to them. They dump all their horror story on your like they think they will feel better and the memories will go away, but that never happens. Most of them go through stabbings, shootings, accidents, poisoning and other tragic events and they are the ones who need to let the family know what happened with their loved one. There not just sad stories they are willing to share with me, there are also funny ones. Chasing naked guys jumping on windows, trying to put girl clothes on while running, or having circle time with the kids in the neighborhood they patrol. Hey, I appreciate all of them and respect what you’re doing and if listening to you while I’m driving you home helps, I’ll do it every day. It is interesting that public transportation is so different all over the world. Especially when it comes to cabs. Different people or groups refer to this mode of public transportation in a different way, some groups may refer to them as ‘taxis’ while others might refer to them as a ‘taxicabs.’ No matter where you are from or what you call them they are a great form of public transportation to take you from one place to another. 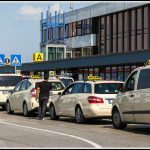 What sets taxicabs aside from other modes of transportation is that the passenger is able to choice the pick-up and drop-off location. When using buses and the subway the pickup and drop off locations are predetermined and are at set locations determined by the provider. The first taxicabs were known to residents of London and Paris in the 1600’s. These were called hackney carriages. The hackney carriage was a horse-drawn carriage that typically was waiting outside of an inn to carry guests to locations around the city. 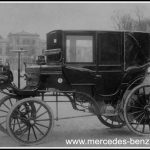 Then around the turn of the 19th century, an improvement to the old hackney carriage was born. The change was a lightweight two-wheeled vessel that could easily be pulled by one horse. These were much easier to steer in traffic and cheaper than the hackney carriage. This wonderful design and the concept of transportation spread across Europe. It was finally introduced into the United States in the late 1800s. 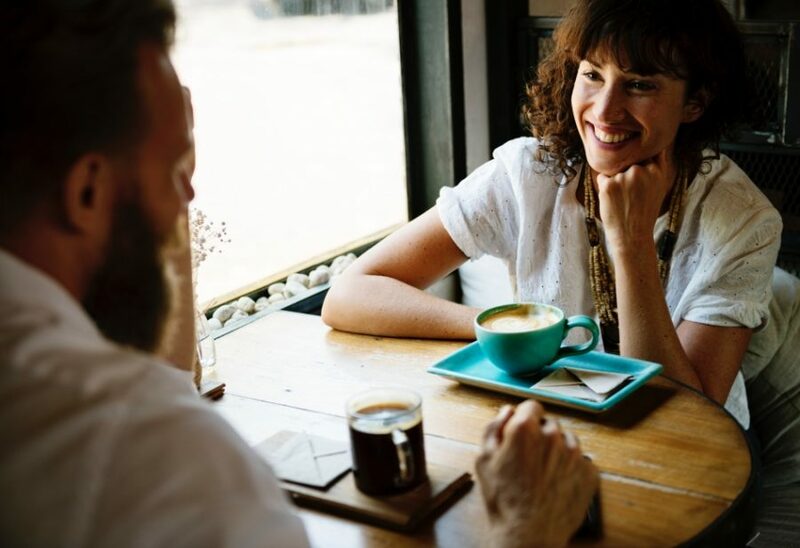 With the concept growing and people learning to use the service more and more the idea of metering the service was invented in the early 1900s. This invention was known as the taximeter. The taximeter was a mechanical device that calculated the fare of the passenger during the transportation and made the job of the driver a lot easier. (This also prevented the driver from not being able to overcharge the passengers. I am sure they were disappointed.) This was a game changer in the public transportation industry. The taxi cab was then all over the entire world. Each country has their own way of making the cab unique to their customs. Most Americans if you asked them to describe to you what a taxi looked like? They would describe to you a yellow car usually with a light on the top saying, ‘Taxi.” If you thought they looked the same all over the world, then you were wrong. Even New York has their own new spin on the taxi. In past years, the staple taxi cab was a yellow Crown Vic made by Ford, but as the city has grown so has their cabs. The Nissan VN200 is now the new face of the taxicab service in New York. Many may find this interesting, but as time changes and more people occupy these planet things have to adapt. 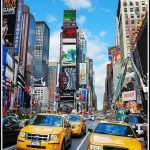 Along with being able to carry more people at one time in the intercity New York has also adapted their cabs for transportation of people outside the city with green hybrid cars. Most people are not a fan of the green but like the better rates. While Americans see yellow as a sign of a taxi the Germans see beige. Only in recent years has the color of the taxicab changed in Germany. 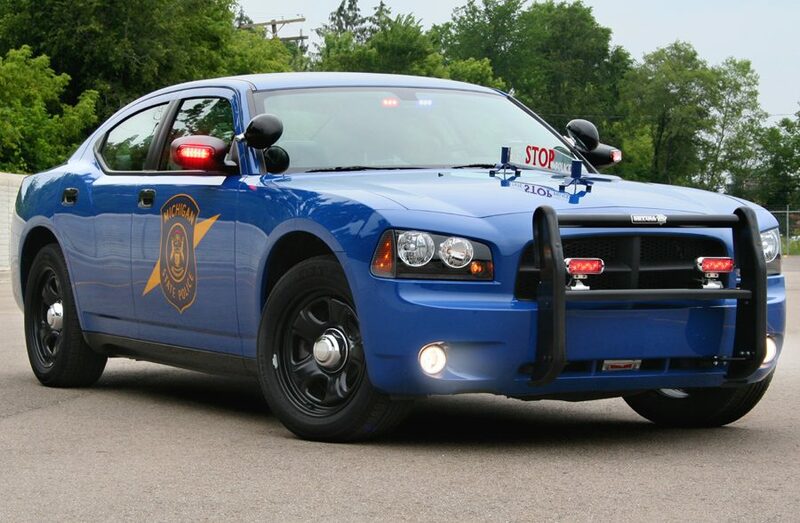 In past years, the vehicles were black and most recently they went to the beige color. They prefer to use the Mercedes Benz series of vehicles and will have a small lit sign on the roof displaying TAXI. When the taxi sign is lit the taxi is available and when it is not they are not. The convenience and the dependability of the taxi in Germany are so high most people do not even own their own car. This is also the case in Singapore. Singapore’s taxis are not as consistent in color or vehicle type as in America or Germany. They can be a Hyundai, Nissan, Volga, or even a Toyota. In recent years, the car was painted black with a yellow roof, but these days a pale blue is the norm, but the company that owns them plays a role in the color. 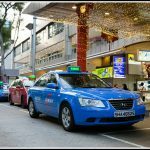 One of the largest taxicab companies in Singapore uses a dark blue color with their logo on the side. The one thing that does stay consistent in the vehicle is usually a 4-door sedan with air conditioning. They even offer taxicabs that look like the cabs in London, England. Of course, these are available for a premium charge. The United Kingdom’s taxi cabs are very regulated. This may be since they are considered be the birthplace. The taxi cab system in London, England is very mature. It is one of the most sophisticated systems in the world. All drivers have to pass an extensive training course, be fully licensed, and only the best vehicles are used for the services. 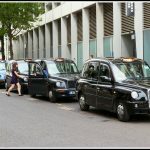 The black TX4 is specially constructed for the use as a taxicab in London. Along with the driver and the vehicle standard being high the way of getting a taxi is different. Most countries you would be able to stand outside in a large city and catch a cab with a way of your hand, but not in London. All cabs are a private hire and require pre-booking of the transportation needed. 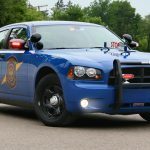 This makes the service and vehicle a standard that people like to be seen in. The design and look of the London are so popular that many countries have adopted the look. 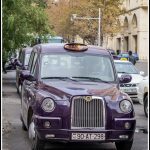 Baku, Azerbaijan’s capital uses the same car but paints it a deep purple. If that wouldn’t get your attention then I don’t know what would. With the high standards in London, Paris France could not be any more different. France does not have any standards to the service of taxicabs. If it can transport people and has a TAXI sign on it, then it is a taxi. They government does not have any regulations on the service, which means stick a sign on your car and start driving around. As many countries share vehicles types and colors of the taxi cab, not one country is the same. They may share common things, but the variety is so wide. From country to country even the standards change. Some regulate the industry with a high regard while others leave it to the people to determine who they or what they get a ride in. 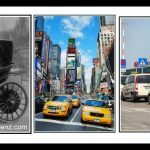 The taxicab has come a long way from the carriage and horse, but it is still a unique form of public transportation.